Marilee Krause, “Reach,” w/c and pastel, 11.5×11.5 in. Marcia Burtt Studio downtown presents two solo exhibitions that embody contrasting approaches to contemporary landscape painting. 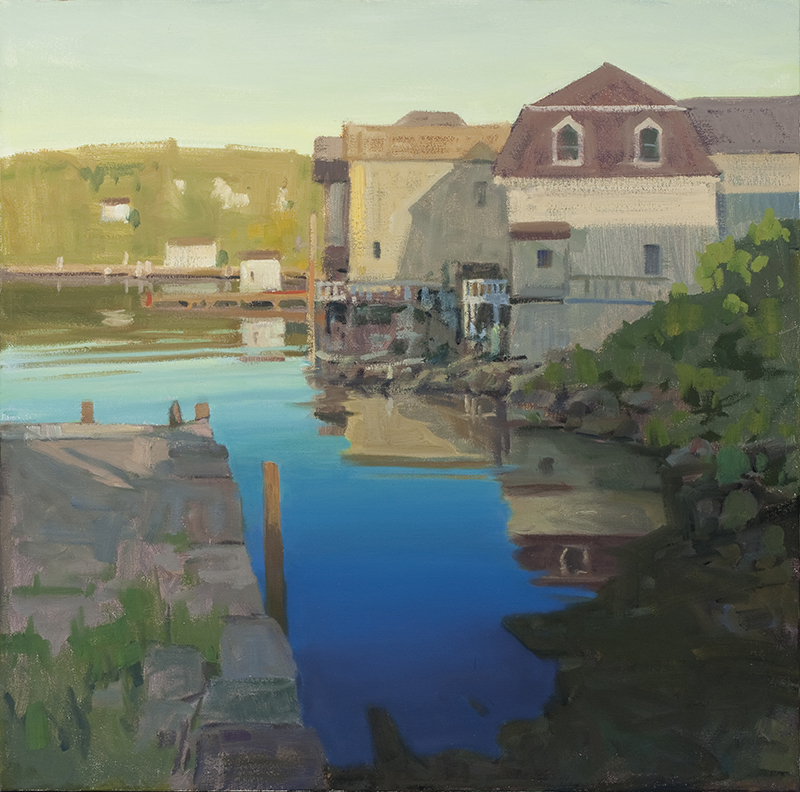 Ian Roberts’ paintings give us expansive views incorporating light and shade on buildings, fields, and water. The “Travel Diary” narrative hints at what is beyond the canvas. In her “From the Mud” series, Marilee Krause uses another kind of counterpoint to play off flat leaves against murky depths. The use of watercolor and pastel on paper allows her to dramatize atmospheric washes with dynamic lines and precise edges. Ian Roberts, “Stonehedge,” oil, 24×24 in.